Delivery charges are based on the distance from True Blue Nursery to your location and amount of labor involved. Please call us for a quote. Our personnel can come to your home for a consult to assess the conditions and help you choose the plants best suited to your location and taste. Need a landscape plan for Home Owners Association approval, phasing in, or long term goals? Our professional landscape designer can produce these to your specifications. Whether you want a path through the garden or an outdoor kitchen, we can assist you in the design and installation of your outdoor dream scape. 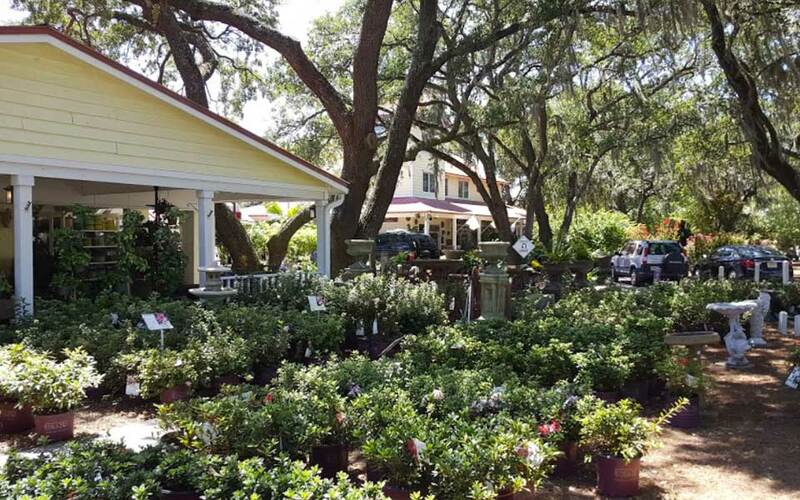 Once you have selected your plant material or garden decor, you can schedule our staff for planting and installation so you can relax. Is your plant showing signs of stress? Bring in a sample of the problem with a small section of the stem with the leaves attached and the disease symptom or insect visible. Our trained staff can diagnose the problem and supply you with the best treatment available. Create the serenity of nature in our garden with ponds, streams, and waterfalls. The professionals will work with you to customize a water garden creation that can be installed anywhere. 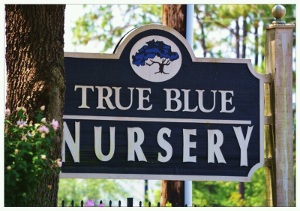 True Blue Nursery is the leading home and garden center in the Grand Strand area and beyond.